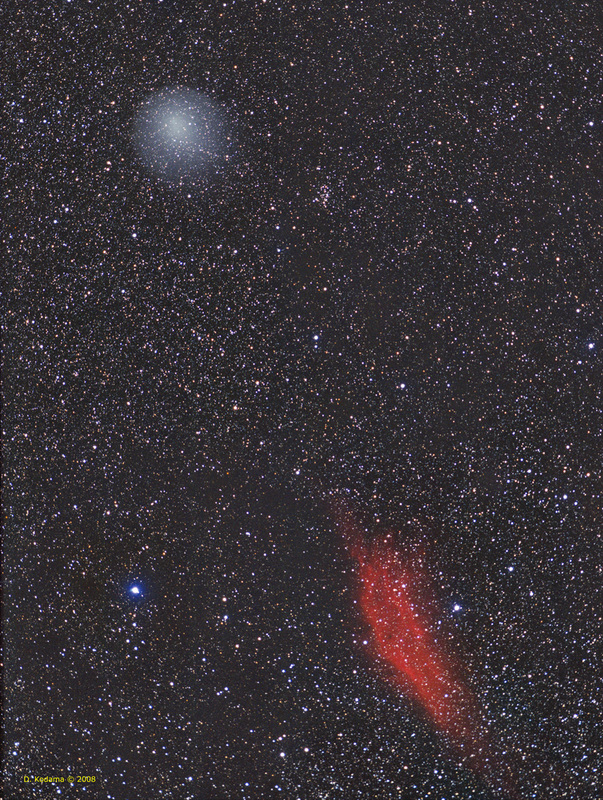 Comet	Holmes	continues	to	ride	high	in the evening sky, still in Perseus as it finishes making its retrograde loop and headed towards the California Nebula (NGC1499). The small open cluster near the comet is NGC1342. Comet Holmes is still visible in dark skies with optical aid, though it is much dimmer than at its peak brightness. It can be seen as a huge, faint fuzzy spot in 7x50 binoculars.